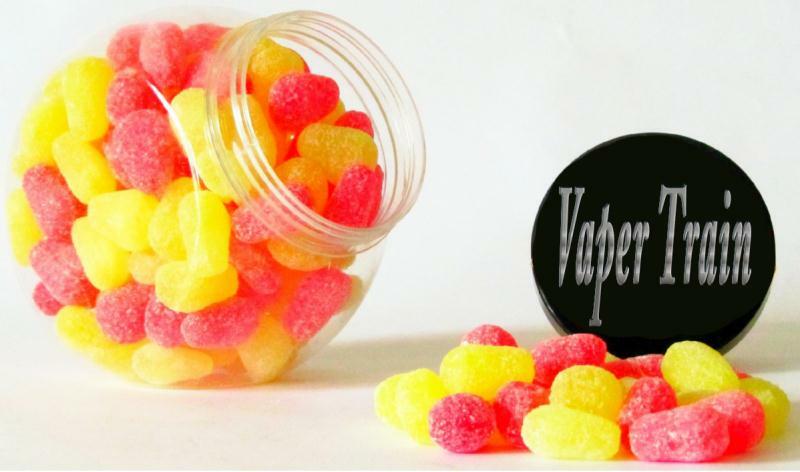 This is a written review of 'VT Pear Drops' created by James and Jade who own 'Vaper Train', A web based E-cig store situated in Wellingborough, Northamptonshire. 'Pear Drops' yet again another vape that takes me back to my childhood in an instant, yet without all the sugar. Pear Drops E-liquid, comes in a 50% PG and 50% VG mix,and comes in 10ml, 30ml and 50ml bottles with child proof caps. On opening the bottle, I could smell the bold essence of beautiful rich ripe pears. Sweet, juicy and tender, quite reminiscent of the 'Ye Olde Sweet shop' style Pear drops I bought when I was a child. The aromas were sweet and bold and had a strong sweet pear scent. This scent actually made my mouth water, and was absolutely divine. I always looked forward to a bag of pear drops to take to school each day for morning break. I had my usual packet of crisps, two Royal Scot biscuits, which, I might add, I looked forward to each day with my little glass quarter pint bottle of milk. There was nothing better than finishing my mid morning snack off with some yummy pear drops. My mother would give me an old penny to spend at the local sweet shop on my way to school each morning, and not only did the penny get me a bag of my favourite pear drops, I also had change left over to buy some more sweets. I quite partial to some cinnamon tatties, a whoppa, and an MB bar, and I would come out of the sweet shop with a big smile on my face. The old penny had gone a long way back in those days. The good old days, when the old monetary system was worth a lot more back then, than it is nowadays, since we became decimalized. At the age of Ten, all I cared about was how many sweets I could buy with that penny. I knew nothing about the value of money, as I enjoyed spending it too much. An old penny, a crown, a half crown, a sixpence, a tuppeny bit, a shilling and a threepenny piece, wouldn't have bought me shares in the sweet shop, but it did get me loads of pear drops and other tasty treats, and oh how happy I was, when out came my teeth, and under my pillow they would go, as I knew the tooth fairy would be along that night to give me pennies to go and buy more pear drops. Those were the days, and what great memories they were, and the aroma from the bottle of pear drops, took me back to those days I enjoyed so much. On the Inhale, Wow!, the flavour of the pear drops replicated the sweets I bought when I was a little girl. Sugary sweet with strong notes of ripe pear. Sharp, tangy and simply delicious. The intense flavours coated my palate, and amazed me, at just how much this juice actually resembled the sweets. Every part of my mouth was coated with this sensational flavour. The more I vaped it, the more I wanted it. It is a well known fact that pear drops actually taste of pear and banana. These are the flavours used in making the sweets. British writers use the term 'pear drops' when describing the flavour of Beaujolais Nouveau. A beautiful wine with a pear drop flavour. They are a British made sweet which we call 'boiled sweets' and the Americans would call them 'hard candies'. 'Pear drops' get their flavour from a substance called 'isoamyl acetate. 'Isoamyl acetate', is an artificial flavouring usually called Banana oil. I found this very interesting when I was doing some research on the flavour of the 'Pear Drops', and how they were actually made. Pear drops mainly taste of a mixture of banana candy and pear drop. Banana candy flavouring comes from something called carbonic maceration, and that in layman's terms means, a process where whole bunches of grapes are fermented without crushing the actual grapes. This process in turn, produces 'isoamyl acetate, which is called the pear drop flavour compound. It is then mixed to produce pear drops, and they are later shaped to pears, one being coloured pink and the other yellow, and lastly coated in fine sugar granules. I find it very interesting, while doing my research on certain things, that by learning as I go along, also helps teach others who read my reviews and my long awaited book. It's useful to know how flavours are made for the things we use in our daily lives, and also very knowledgeable for future teachings of our children. On the exhale, the flavour remains consistent, bold and sweet throughout each vape. 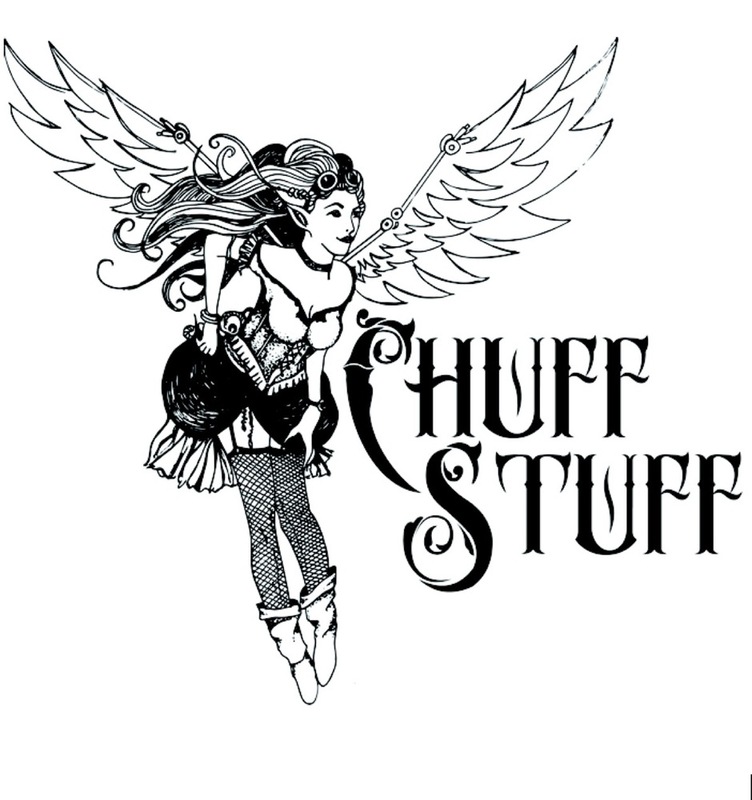 Lingering for a while on the palate and resting contentedly on the tastebuds for a while after. What a beautiful flavour this is, it's absolutely delicious, and one I would recommend you all try. If you love the old sweet shop sweets as much as I do, then this is most definitely a sweety lovers dream. It is strong, with a bold punchy flavour, sweet but not overly sweet and the right amount of tanginess. The flavours blend perfectly with one another and the vapour production is extremely good, with it being a 50/50 blend of vg/pg. The throat hit at 18mg is spot on. This is a juice I would vape most of the day. 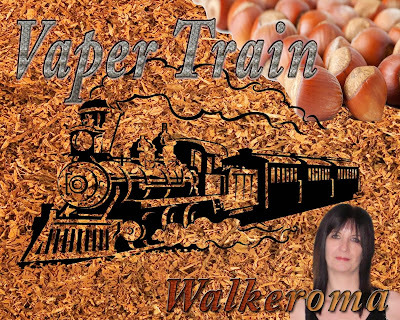 I absolutely love it, but normally I like to change my vape to something much more relaxing in the evening such as Vaper Trains 'Butterscotch' which is truly sublime, but that is for another review.